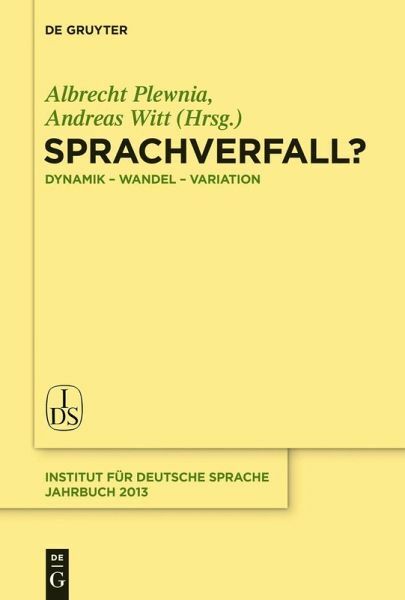 The 2013 Annual of the Institute for the German Language provides a classification of discourse on language decline based on language history and variation linguistics. In addition, it offers an analysis of the processes underlying the public debate from the perspectives of language sociology. Albrecht Plewnia und Andreas Witt , Institut für deutsche Sprache, Mannheim. 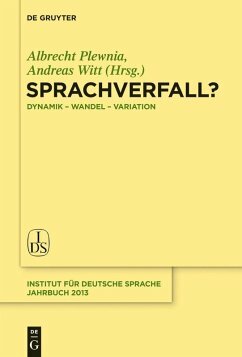 Albrecht Plewnia und Andreas Witt, Institut für deutsche Sprache, Mannheim.